What is the proper planting density for my plants? 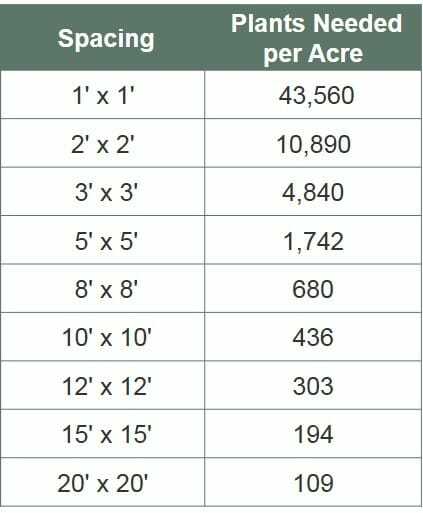 Planting density varies based on your project goals, site conditions and the species and the types of plants. To assist in determining how many plants you need for your project, please refer to the chart. Generally, 1′-2′ spacing is for live stakes, 3′-8′ spacing is for shrubs, and 10′-20′ spacing is for trees.